An item with two asterisks (**) are available beginning at 9PM on Thursday, November 26th. Saturday, November 28th, they are offering $50 off a $100 purchase from their holiday items (decorations, gift wrap, etc.). Stores open at 6PM on Thursday, November 26th. This list is all items in the ad except for clothing, shoes and jewelry which they can look at the ad scan for. Even if the price is $5 or $10 more on Amazon it may be worth your time to buy on Amazon instead of in store. There is no guarantee that in store deals will last, and the lines are always very long. IT can be very stressful to shop in town but shopping the Target Black Friday Specials through Amazon instead might be the better option for you. Lots of these items are already cheaper on Amazon right now, and we’re still weeks away from the shopping day. The Target Black Friday Specials is looking really good this year but comparing to Amazon you will probably find better deals online, and at the same time you will beat the crowds. However, some of these in store deals are worth getting. Don’t you just love a good black Friday electronic sale. I am loving all of the good deals this year, especially the deals on tablets, and video games. On my kids wishlist this year is an ipad mini, Xbox one, and a hubway. The good news is it looks like I will be able to get the ipad mini cheap, and I will score bonus points because the teen will be thrilled to get apple products since its about the only thing she’s liking right now besides clothes. I love my Wii so much that I have been thinking about purchasing the Wii U, and $249.99 is not a terrible price. What’s on your shopping list? Looking for tablets or video games to? This list is amazing! Doing a fast target black Friday ad scan I see there are some fantastic movie deals ranging from $2 to $15. We’ll just have to wait to see if Amazon black Friday movie deals beat them. I see that some already do so make sure to click through these links, and I’ll update when I find the prices have changed. This is seriously the best time to buy dvd movies cheap. Movies make great coworker gifts, and you can add them to a gift basket to make the gift basket of popcorn, and a few seasonings to pull the gift into a movie theme. A movie gift basket would also be a great gift for a teen but to make it more age appropriate I would throw in a few candy bars, soft throw or pajama bottoms and slippers. Put all of this into a large bowl that she can reuse, and wrap with holiday themed plastic wrap or tissue paper, and tie with a bow. These are the best black friday camera deals, and Amazon price comparisons. I have a dslr camera, and absolutely love it. I’ve been thinking about getting one for my daughter since she loves to take pictures. This deal on the Nikon DS3300 is great, and you will be set with this package. It comes with the camera, a sd card, tripod, camera bag, and more! You know it wouldn’t be a good black friday sale without major savings on flat screen televisions though. Check out these target black friday specials below on TV’s you won’t want to miss. —> Compare Prices and Check Reviews on Amazon – $469.99 right now! I know we’re all looking for the best kitchen deals , me definitely included. I am loving the deals this year on Ninja and Kitchenaid products. I have had my Kitchenaid mixer for over 7 years, and it still runs like new. I use it for everything from mixing dough to making homemade tamales. I am also a huge fan of the Ninja products, everything from their blenders to vacuums I use and love. The 3 in 1 cooking system is AMAZING, and I seriously could not live without it. I am even making this year 25 pound turkey in it! Know someone who just moved into their first home or a college student leaving home for the first time? These housewares deals are stock up worthy. I also see a great deal on a queen air mattress for $49.99, great for camping. 8 piece bedding set for $35, and tons of cookware set deals featuring the best quality cookware sets in Farberware and more. Are you in the market for a new vacuum this year? There are some really hot target black friday specials on Bissel, Shark, and Dyson this season to get you excited. Personally I like Shark products better then Dyson, and currently own the Shark Powerhead Lift Away. It literally lifts away dog hair like a champ. I have a German Shepherd/Austrian Shepherd and of these breeds shed like its no ones business. Shark has been able to lift the hair right out of the carpet, it’s one of the best dog hair vacuums on the market. My husband is a fisherman so I will be looking for camping and sporting goods for him. My son got into football this year, and now its all he cares about. In fact, he has not touched a video game in probably 7 months! I know right… unheard of. I guess when boys get passionate about something they focus all of their energy on it. Every since the Target black friday ad leaked I have been so excited for my readers who have small children. There are so many hot toy deals this year at target, and I know my readers are going to love them. Especially the Frozen Ellsa doll deals, and all the other princesses. My niece is really into my little pony so I’ll be hitting the store for that item. Other items to pay attention to are the Crayola deals, monster high dolls, Disney princess dolls, and monster trucks and V Tech toys for the little guys. 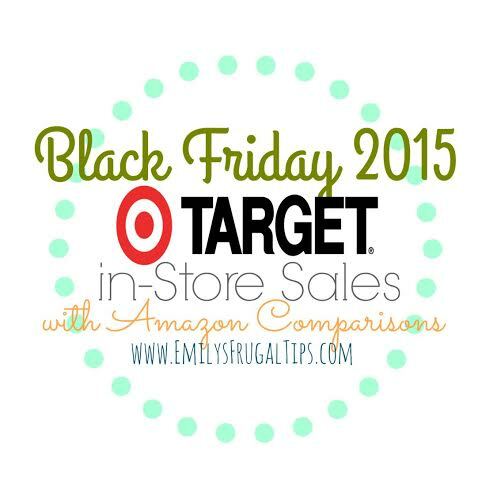 There are so many Target black friday specials to choose from this year it’s exciting to think about. I cannot wait to hear what my readers score. Wall Decal Roundup All under $3 With Free Shipping- New List!